With the continued growth of men’s jewellery market Jos Von Arx is considerably expanding its men’s bracelets, pendants, rings and cufflinks. At IJL the brand will be launching over 20 new bracelet designs all featuring patented resizable magnetic clasps. New wristwear will also comprise novel materials such as carbon composite, mesh bands, new leather textures as well as advanced CNC cutting and PVD plating. New Zealand designer jewellery brand Astra will debut IJL London as part of its collaboration with Jos Von Arx’s distribution arm Eurjewels. The brand focuses on celebrating special moments, with jewellery motifs symbolising milestones, occasions and stories. With the tagline ‘Everyone Has a Story’, Astra taps into the ever-popular personalisation trend in a unique way. Amulette will launch a collection featuring a new three coil ring, eye-catching dangle ring charms, a diamond and ruby locket and a striking signet ring. All the brand’s ring charms can be used the new coil rings, which have been designed to complement Amulette’s existing offering. Charm additions including a lightning bolt adorned with diamonds, an angel ring and an arrow. The new composable custom concept by Anchor & Crew enables the personalised creation of bracelet designs to complement anyone’s fashion style on a day-to-day basis. Essentially an industry first, the concept allows the quick change of any bracelet material or colour to be as multi-layered or minimalist as any consumer likes. With various silver chain, leather or rope bracelet lines available, any combination can be added or removed from a base custom clasp as desired, on demand. Luxury jewellery brand Andrew Geoghegan is introducing a distinctive new collection, inspired by the powerful lure of the oceans close to his getaway on the Portuguese coast, and the golden age of exploration and discovery during the renaissance. The Gabriel range embodies the strength and contradictory pull of the sea with four crest waves seemingly carved into the setting which captures a single diamond. The designer will also be launching a new pricing strategy at the show, offering pieces at more accessible price points. Antwerp Diamonds Ltd has three new collections to unveil within its Phoenix range, alongside striking one-off pieced made especially for the show. The Phoenix Cut is an instantly recognisable diamond featuring 89 perfectly polished facets, which brings out the essence of a stone and showcases its unique properties. New pieces have been inspired by current trends designed to appeal to the modern day individuals jewellery journey. British jewellery brand Astley Clarke has three new collection for AW17: Astronomy; Calder; and Phototaxis. Drawing on Astley Clarke’s tradition of looking to the natural world for inspiration, the triptych collection takes ‘light’ as its central theme and interprets into a physical, an instinctive and an emotive context. Aurum by Guðbjörg‘s latest collection has been expanding and evolving since being first introduced in March. Adding a new dimension the Asterias collection, the brand will be introducing new pieces that maintain the intricate edge of contemporary jewellery combined with elegant and sophisticated finish. Inspired by the currents of the ocean meeting the raw landscape of the Westfjords, Guðbjörg was drawn to the sea and in particular the starfish for inspiration. Established over 40 years ago and now one of Europe’s largest supplier of polished, certificated diamonds, Bass Premier now introduces its own Premier Diamond. Sparkling with life and fire from every facet, the Premier Diamond is a masterpiece of fiery reflection as Bass Premier has taken the classic brilliant-cut with 57 facets and transformed it to include 82. The Premier Diamond weighs from of 0.20ct to 5.00ct. With a focus on Art Deco and vintage pieces adorned with diamonds and coloured gemstones, Beverley K will present to exhibitors a vast range of fine pieces. The brand uses French-cut gemstones, which replicate 18th and 19th century styles and adds a brilliance and uniqueness not found in modern techniques. 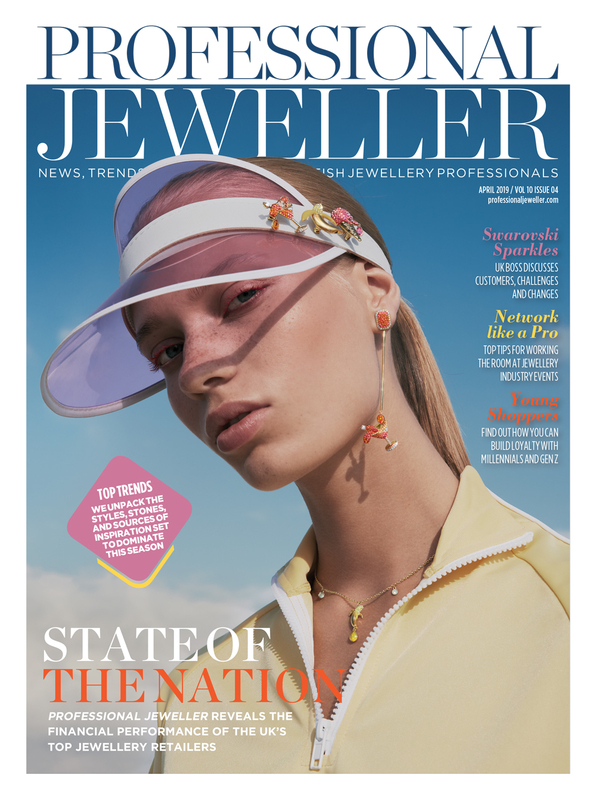 Lifestyle brand Charlotte’s Web is making its debut this year, arriving armed with a range of jewellery for buyers to discover for the brand which is celebrating its 10 year anniversary. Taking inspiration from travelling adventures, Charlotte’s Web offers bohemian jewels perfect for stacking and personalising. From birthstone rings, to intricate necklace designs, the brand has something for all free-spirited consumers. Charles Green is going to launch three new bridal collations at IJL: The Juliet, The French Cut, and The Knife Edge. Pieces within each of the ranges have been custom designed and crafted in the company’s new purpose-built design suite, which is equipped with all the latest mirco setting technology and state of the art machinery. Charles Green will also unveil new designer lockets and demonstrate the benefits of its B2B website. Chrysalis will be launching sterling silver earrings and rings for the first time in its Bodhi collection, alongside signature expandable bangles featuring iconic symbols of luck. Following the success of the brand’s award-winning Bohemia range, Chrysalis has expanded its metallic offering with Mythos, a collection of Greek goddess-inspired cuffs, while Cheished is the brand’s latest bangle bolster. Irish brand Chupi will introduce signature creations in solid 14ct gold and launch additions to its popular gold-plated and silver lines as it makes its debut at the show. This is the first time Chupi has offered solid gold options in yellow, white or rose, and the brand will be unveiling six delicate and stylish ranges including Crown of Love, which is adorned with tiny grey diamonds, and Hpe & Magic, which features twig designs. Stars also remain a source of inspiration. 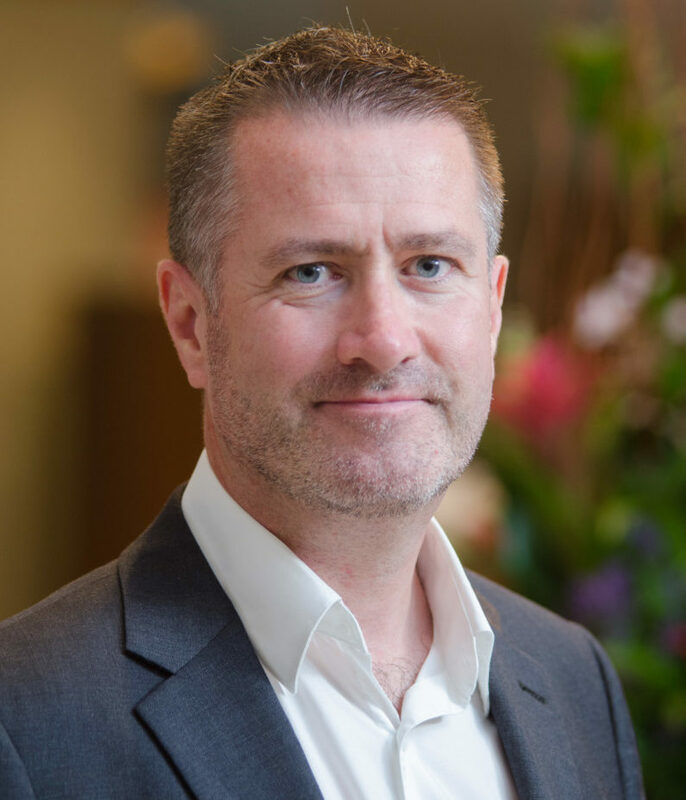 Jewellery cleaning specialist Connoisseurs will be showcasing its three bestselling products at IJL – the Dazzle Stik jewellery cleaning power brush, Dazzle Drops advanced jewellery cleaner, and Dazzle Drops silver jewellery cleaner. Visitors to the stand can enjoy a complimentary jewellery clean and be in for a chance to win a luxury spa day. Clogau looks forward to a sparkling autumn/winter, with new festive collections due to be showcased alongside a striking new advertising campaign. Following on from the success of Clogau’s Nutcracker range last year, for this Christmas the Welsh gold brand will unveil the unique Past, Present, Future – The Spirit of Christmas collection. Inspired by Charles Dickens’ classic tale A Christmas Carol, each piece of jewellery is set with sparkling Swarovski genuine white topaz, representing the motif of past, present and future within the festive novel. 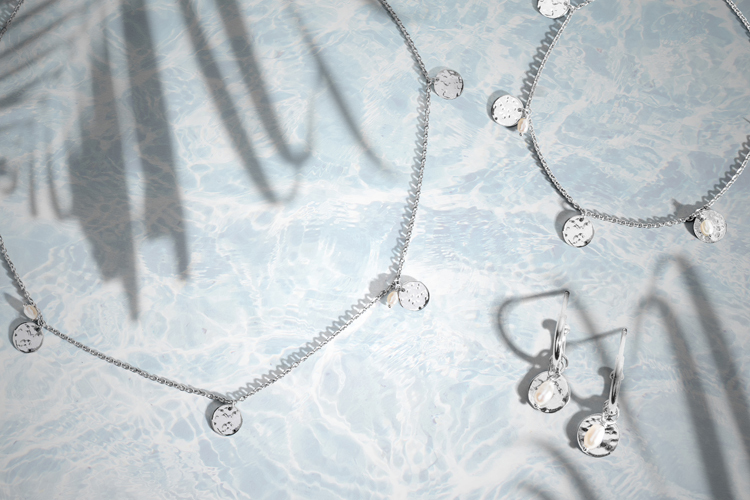 Inspired by the contrast of dark and light in the night sky, the new Moonlight collection by Claudia Bradby features single white, silver and peacock pearls embedded in delicate star shaped settings. Available in silver, gold and rose gold, pieces are designed to be worn either singly or layered, embracing the trend for mixing metals. The pearl specialist will also be holding a Pearls and Prosecco afternoon at 2pm on the stand. 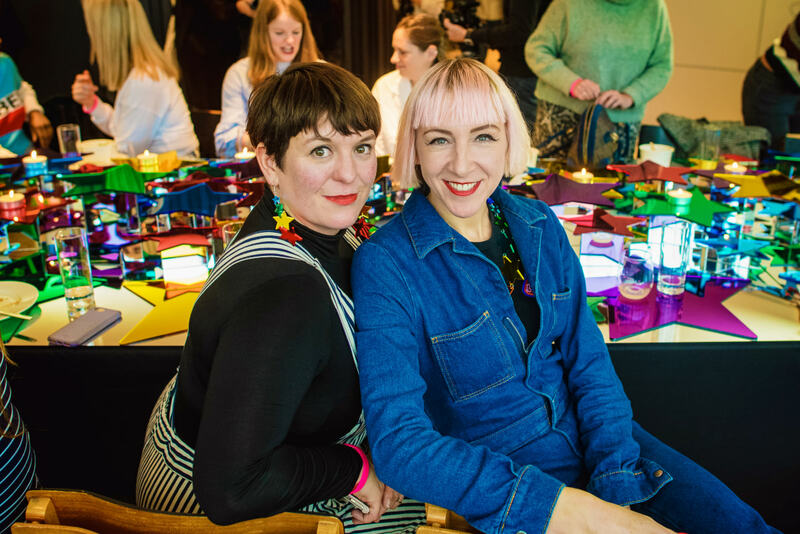 Jewellery designer Cara Tonkin will be showing her latest collection entitled Paillette in the UK for the first time at this year’s International Jewellery London event. The range focuses on shimmering discs of silver and gold which playfully reflect the light, inspired by delicately embroidered clothing the metal is textured with felt for a softness and combined with threadlike chains and tube beads. When Charlotte Lowe Jewellery first launched back in 2009 the designs were described as the modern-day locket. This September the brand will be going back to its roots and expanding on this concept with a new range that allows customers to combine their favourite pieces with their beloved photographs. IJL will see the launch of the Locket Lovers range; a collection of handmade silver and gold lockets available throughout the brand’s family and animal inspired themes. Birmingham-based manufacturer, Continental, will be back at International Jewellery London this year with new 18ct bridal designs in emerald, oval, marquise and pear cuts, alongside updated 9ct and 18ct core collections. 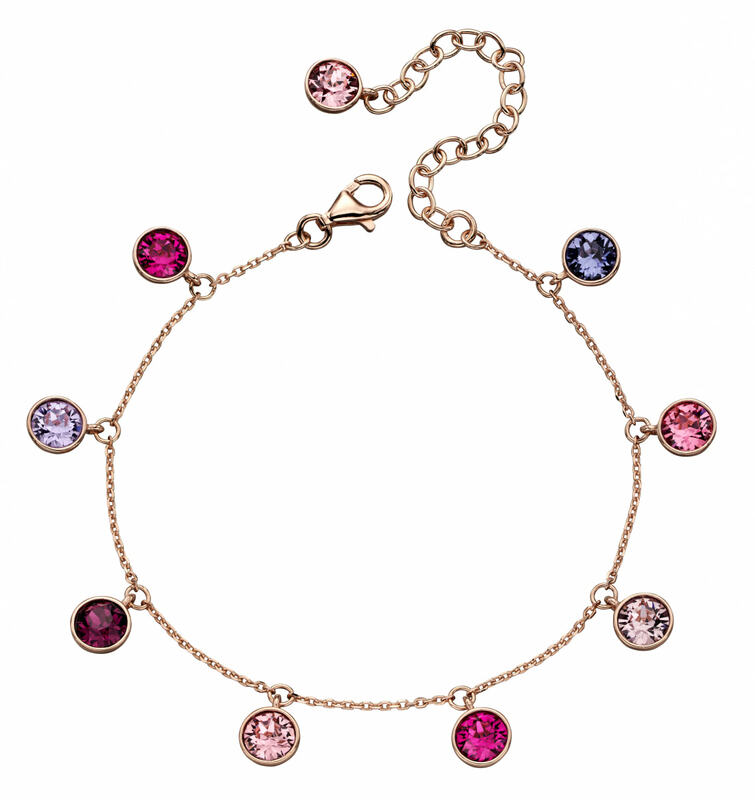 On top of this, Continental has also added a new range of 9ct fancy diamond bracelets ahead of the Christmas season. Cornerstone Creations is continuing to expand on its contemporary core collections for AW17 by introducing elements of 18ct yellow gold vermeil to add vivid warm contrast to the rhodium plated silver. The brand will also be launching the Seed collection, which comprises of earrings, necklaces and a bracelet. Seed is a classic stylish range which will initially be launched in rhodium plated silver with the signature Paul Spurgeon contrasting satin and polished finish as seen throughout their designs. Inspired by Chatsworth five centuries of fashion exhibition, the new 74 pieces House Style collection by CW Sellors draws upon the exquisite jewellery owned and worn by the family over the generations; from exotic headdresses to glittering diamond tiaras and the renowned insect brooches which belonged to Deborah, Duchess of Devonshire, the last of the celebrated Mitford sisters. Also on display will be the brand’s Christmas Wishes collection. Dower & Hall’s beloved pearls have taken a modern twist with a touch of ombre, new take on hoops and contemporary classic styles. Redefining pearls for the next generation, the Lunar collection is timeless and chic. The British brand has also added new Twinkle designs, and created a new Christmas ornament for customers to collect. Sweden-based jewellery brand Drakenberg is presenting a new diamond collection – Infinity. Circle motifs adorned with diamonds take centre stage in a range which comprises of rings, necklaces, earrings and bracelets. 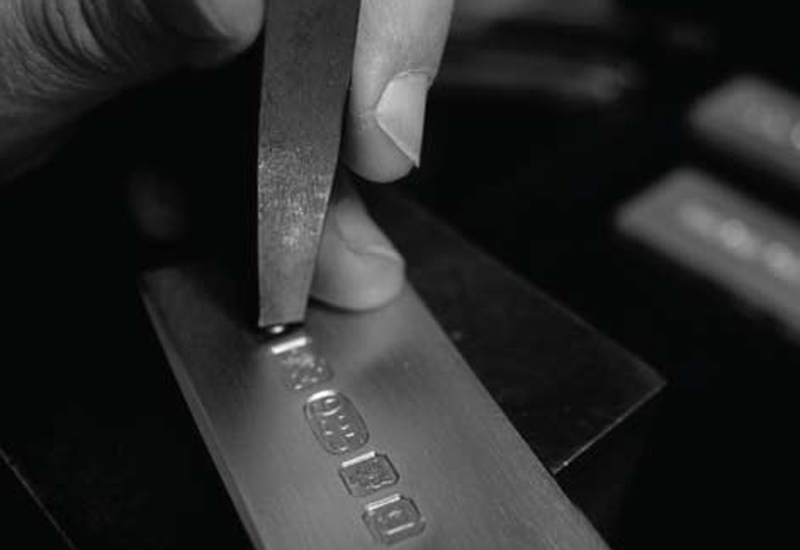 Catering to all customers, pieces are available in 18ct gold and sterling silver. Irish jewellery designer Emer Roberts will showcase her current 30 piece fine jewellery collection of rings, bracelets, pendants, necklaces and earrings, alongside sterling silver and 9 carat gold sculptural pieces which maintain clean and bold lines throughout. Emer will also launch her new architectural links bracelets and necklaces at IJL 2017, which have been designed for men but inherently classic to suit women also. Award winning fine jeweller Flora Bhattachary will be presenting her recent Pushpa and Aditi collections at International Jewellery London. The new collections draw inspiration from her family’s links with India and aim to inspire and embolden the wearer with an inner symbolism alongside a balance of femininity and strength in design. Pushpa is inspired by the exuberant floral patterns in Anglo Indian chintz, while Aditi takes inspiration from the Hindu sky goddess of the same name – who created the cosmos and the zodiac. Eclisse, the brand new collection from Ellie Air Jewellery, will be shown exclusively at IJL in September. Inspired by stars, sunburst and astronomy, Eclisse is the Italian word for eclipse and as such the range offers clean and contemporary celestial inspired designs. Each piece is handmade in London. Some products feature rose cut diamond adornments, while others offer an antique aesthetic. Fei Liu Fine Jewellery is unveiling two new collections which carry influences from the brand’s luxury bespoke jewellery, translating them into accessible ranges. 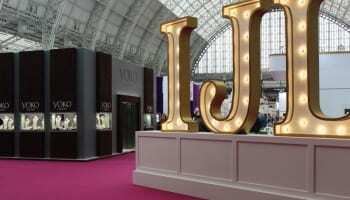 Rather than give too much away before the show, the British brand is running a social media campaign in conjunction with IJL, which will unveil the names and stories behind the new pieces. Driven by strong sales figures, the Fei Liu will also present extension pieces for bestselling ranges. 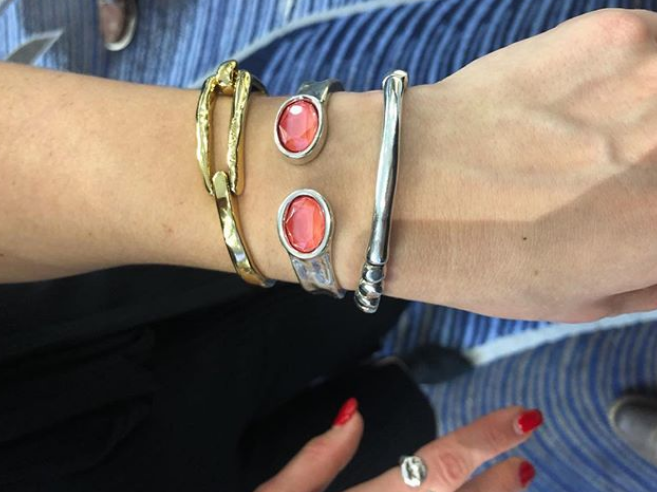 The new Fiorelli Silver collection from Gecko, is set to take the Christmas gift market by storm with a range created to appeal to a wide variety of customers. Offering over 150 new styles, including 65 brand new lines across necklaces, bracelets, earrings and rings, the AW17 product mix features new materials, soft geometric shapes, alongside ‘sky lines’. Pieces are minimalist, trendy and versatile. The latest collection from Fred Bennett will be the main focus for Gecko Jewellery at this year’s show. 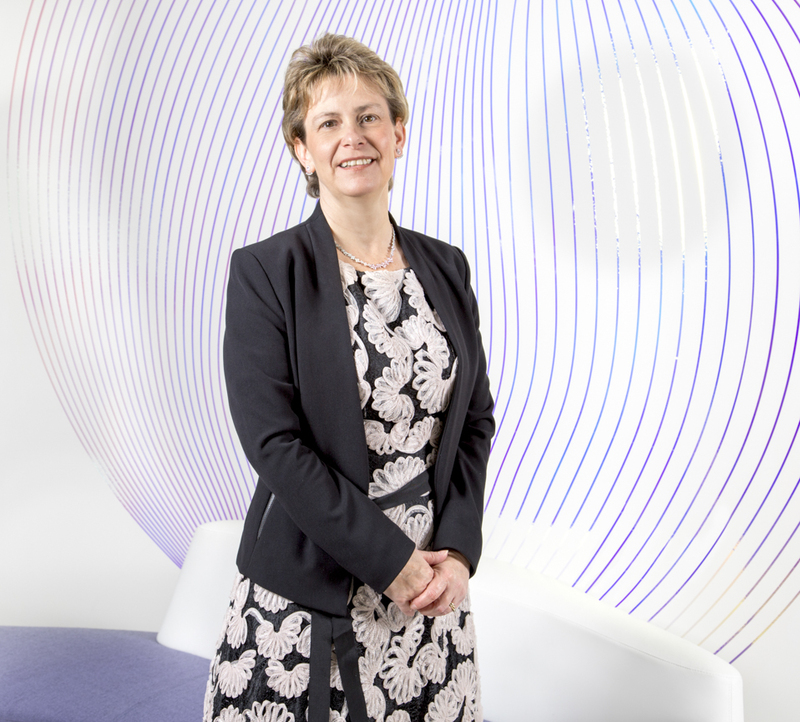 The company will be introducing over 65 new designs, which will be supported by a 32 page, consumer-facing catalogue and point-of-sale materials. With the current trend for unisex jewellery, many of the new pieces have been created with this audience firmly in mind, and some key items will come in smaller sizing to accommodate the female customer. The collection includes rings, bracelets, ID bracelets, torque bangles as well as various neckwear designs in both leather and dog-tag styles. Forevermark will be showcasing its Black Label collection, a generation of fancy shape diamond cuts, which create an exceptional sparkle. Focusing in on the heart and oval this year, the Forevermark Black Label is the result of years of research by diamond experts that have defined new standards for fancy shape diamonds. Hockley Mint will introduce a 56-piece new collection of wedding rings. 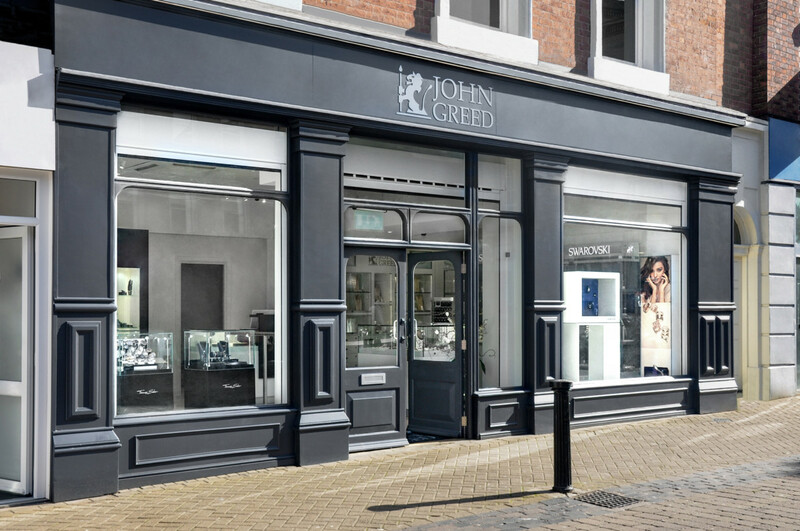 Adorned with diamonds, available in four different widths and two options for stone coverage, Hockley Mint has developed this range follow consultations with its retailer partners and sales team. The new design concept allows retailers to work more closely with consumers, helping them create their own wedding band by choosing their favourite diamond-set style and width. 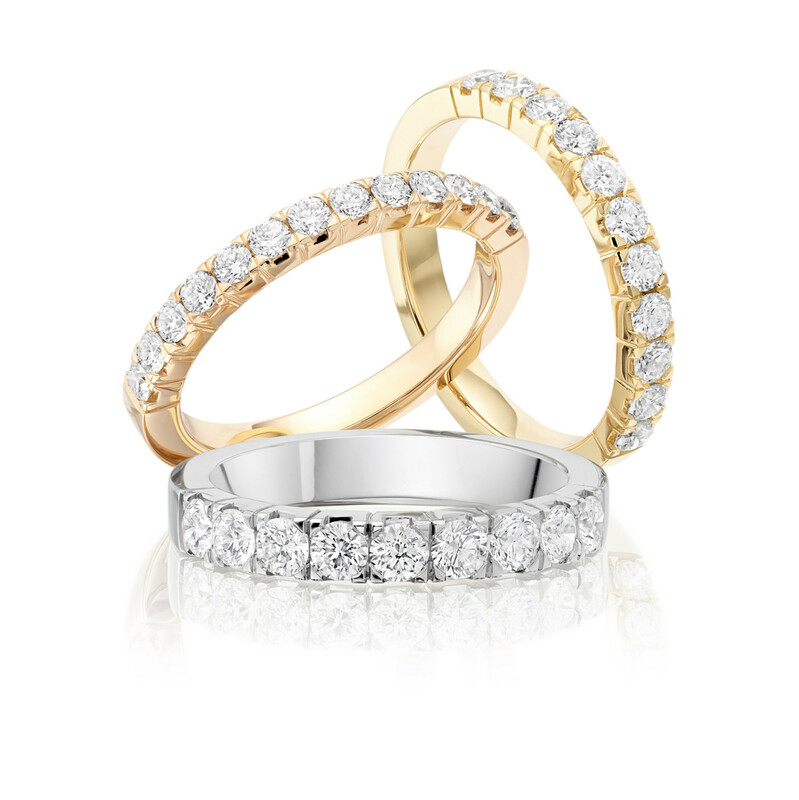 All of the new rings will be available in 18ct gold, platinum and palladium, as well as in Fairtrade gold. Insignety is an innovative, luxury jewellery brand for today’s demanding customer and retailers. 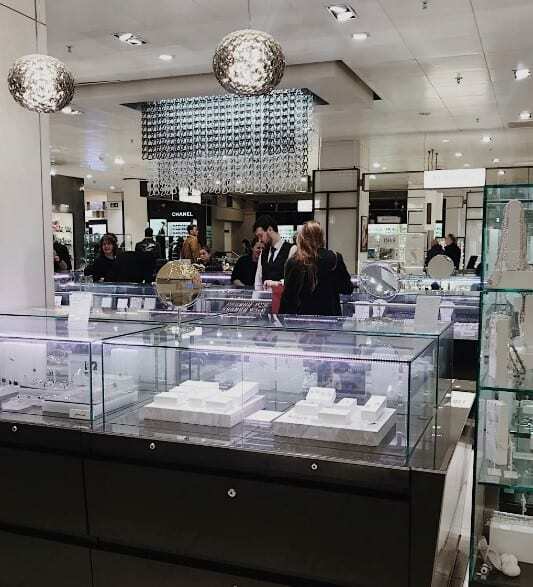 Insignety believes that pieces of jewellery that are connected to special moments in life are even more valuable when they have been personally designed by the customer. That’s why it provides jewellery retailers and consumers worldwide with both a high-end jewellery collection and an innovative end-to-end in-store design solution that is unique in the industry. Insignety’s smart design toolkit makes it easy for the jeweller to create and customize wedding, engagement and multiple gift rings – together with their customer.